This is part of the series of cleft palate books. The book targets K, G and K’ in Amharic. 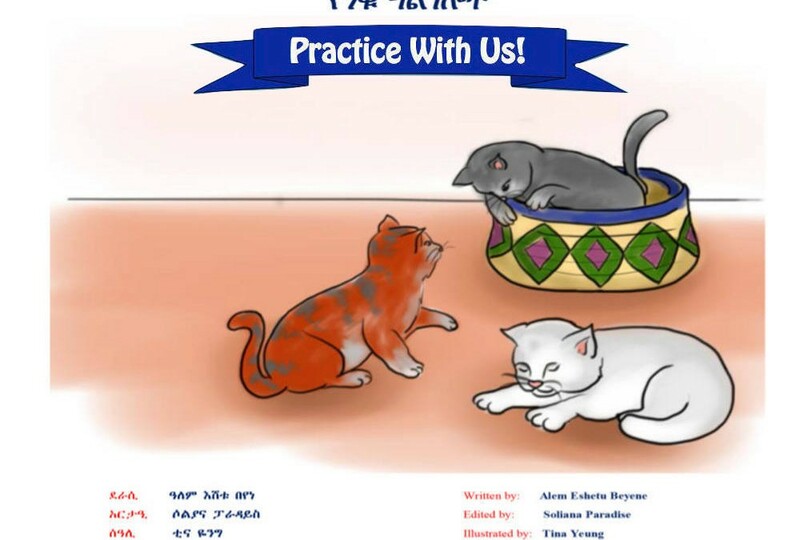 Niku’s Kittens is part of a series of Amharic language books created for children with repaired cleft palate. It focuses on K, G and K’. Children receiving speech therapy after a repaired cleft palate should practice speech sounds 100 times a day if they want to improve. With these books, children can practice at home with their family on their own! You can download the pdf by clicking the link. You can also swipe through the pages on a tablet or phone by clicking on the gallery images below. Written by Alem Eshetu Beyene and edited by Soliana Paradise. Illustrated by Tina Yeung.